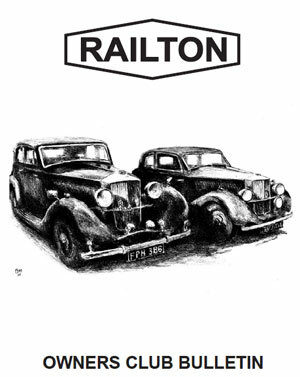 The Railton Owners Club magazine is called The Bulletin, is published bi-monthly and sent to all members. It provides details of forthcoming events, news, articles from members, archive and current pictures of cars, technical information and occasionally cars for sale. You can examples of the Bulletin by clicking the links below.